Taylor Vause was recalled by the Idaho Steelheads late yesterday by the Texas Stars. Vause has six goals and three assists in 16 games with Idaho this season. The Texas Stars, proud American Hockey League affiliate of the Dallas Stars, announced today that center Taylor Vause has been recalled from loan to the Idaho Steelheads, the team’s ECHL affiliate. Vause, 22, is in his second full pro season and has played in 62 career AHL games and has 19 points (5 goals, 14 assists) and six penalty minutes, all with the Stars. The Calgary, Alberta native has played in 17 games for Idaho so far this season, scoring nine points (6 goals, 3 assists) and recording eight penalty minutes. Vause attended Texas’ training camp on a tryout and made the Stars’ opening night roster after signing a PTO on October 2nd. 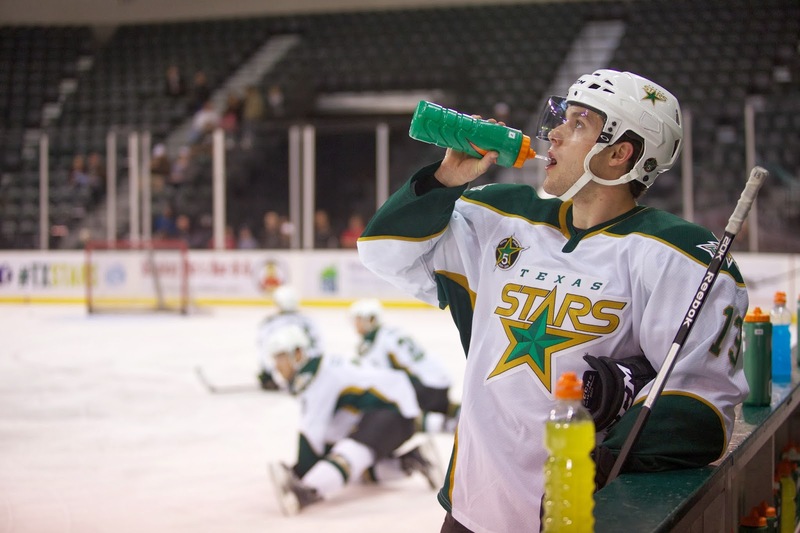 He skated in the first two games of the 2013-14 season and then signed an AHL contract with Texas on October 10th.